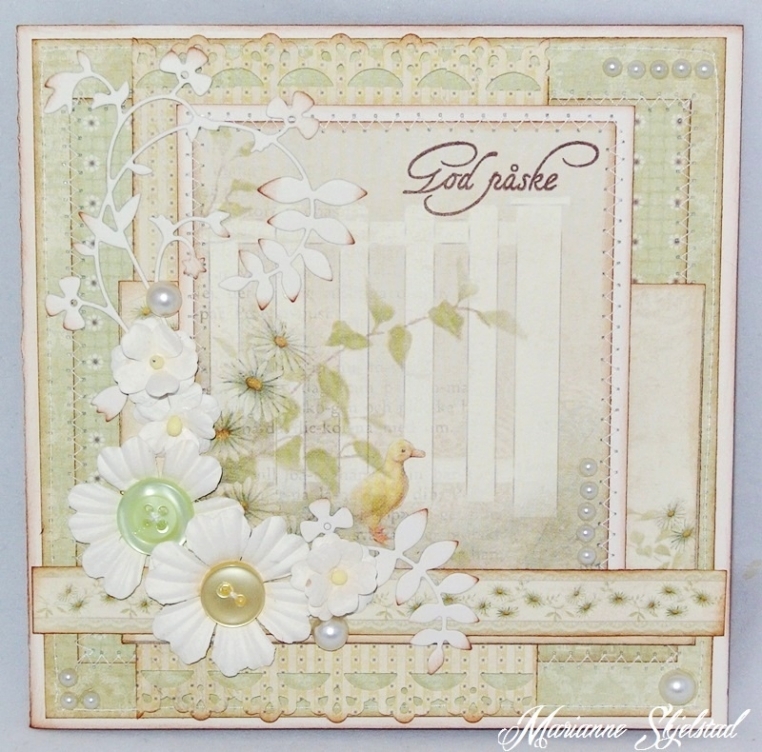 When the light and sunshine are returing you feel like making cards with a spring feeling to them. 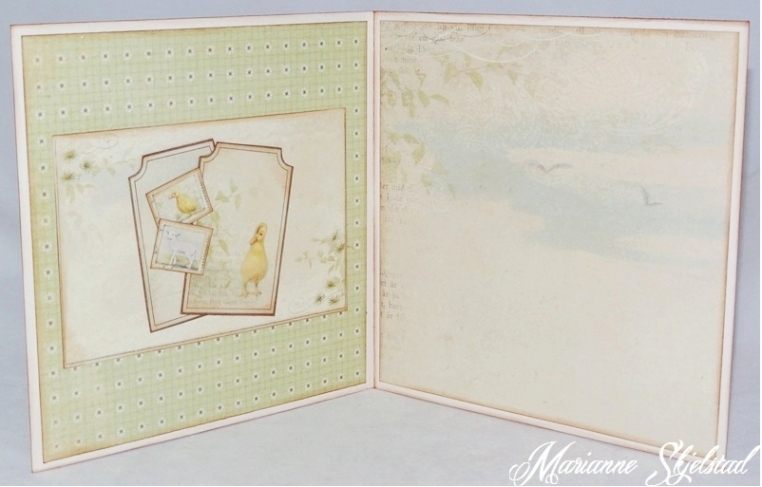 Here is an Easter card I have made using papers from the collection Grandma’s school book. I have used my sewing machine and decorated the card with pearls, swirls, flowers and buttons in the same colors as the papers. Here is the inside of the card. I think it works great to use the paler parts of the papers as writing space, and here I have used the upper part of the paper Little girl. The images from the front of the card are also found on the tags and postage stamps on the inside.